Looking for a Baby Naming Ceremony Gift? You are at the right place! 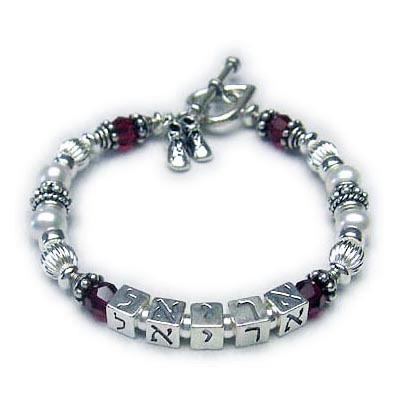 We can customize each design with the baby's Hebrew name and birthstone colors. We can also add charms. 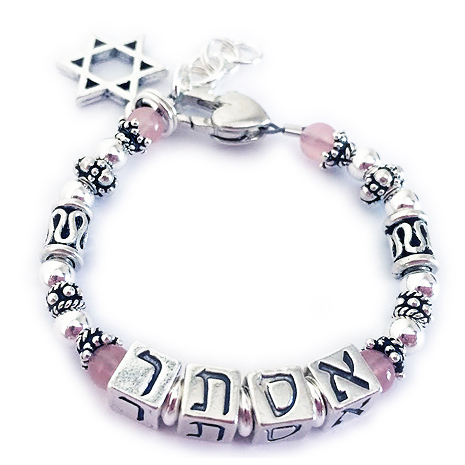 Here are a few examples of Hebraic Name Bracelets below but you can choose any design and we can make it smaller and add an extension clasp so it will grow with the baby. Jewish babies are given Hebrew names a few days after they are born. A brief ceremony is performed, which often includes friends and family members of the new baby. 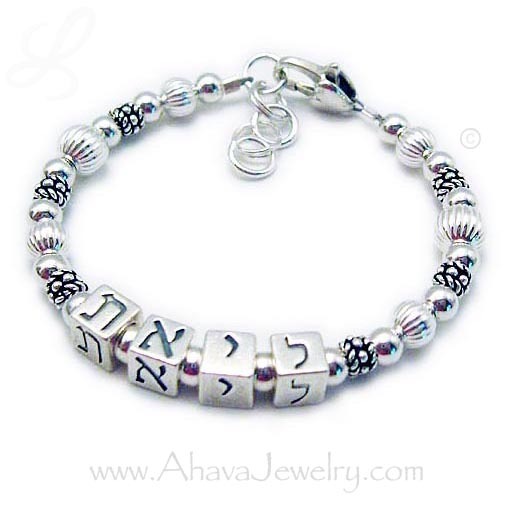 These Baby Naming Ceremony Bracelets with the child's Hebrew name would be a lifetime keepsake. You can get a coordinating one for mommy and grandma and they can wear their bracelets (or necklaces) every day! 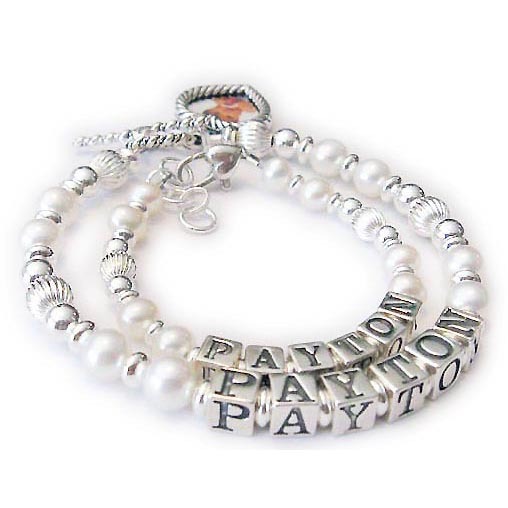 These ALL sterling silver, 14k gold-plate, fresh-water pearls and/or semi-precious gemstones, depending on the design you choose, so they are lifetime keepsakes. Note: I use professional grade beading wire but they can be broken and they contain small pieces. They are only intended to be worn while holding the baby or for pictures.